I am currently obsessed with their Tea Tree cleanser as it has really helped calm my skin down and deal with some acne I was having (review coming soon), but the lovely people over at Body Shop were busy designing a range for people with combination skin. 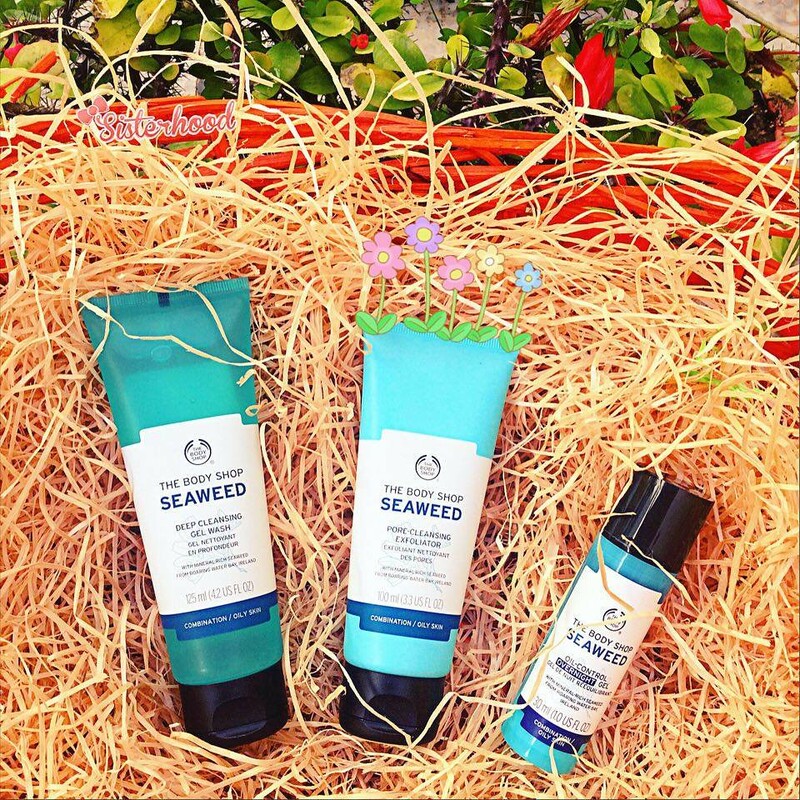 Seaweed helps to restore balance and control excess oils to give you a shine-free, matte finish. This cleanses the skin whilst rebalancing moisture levels, and is gentle. Oil-free and soap-free, this face wash effectively removes impurities, leaving a shine-free matte finish.Suitable for combination/ oily skin, and refreshes skin. This is packed full with jojoba beads and seaweed to refresh and clarify, leaving face feeling super-soft and beautifully clean with every use. Refines your pores whilst deeply cleanses your skin. This is supposed to balance skin and help keep oil at bay. Formulated for combination skin, this night moisturiser leaves you shine-free yet perfectly hydrated in drier areas, and has arnica and white tea.